The double-channel centrifugal pumps are widely used to transport the two-phase flow including big solid particles in industry and agriculture. However, the related design theory and the design method are immature by far. In practice, the revised design method based on the pure water medium is still the main method for the solid-liquid twophase double-channel pump. Therefore, it is very necessary to deeply study the flow characteristics on the condition of the pure water medium. 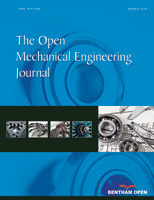 In this paper, in order to study the flow characteristics inside a prototype double-channel centrifugal pump in the case that the delivered medium is the pure water, the SIMPLE algorithm, RNG κ-ε turbulence model, and frozen rotor method are employed to calculate the incompressible, viscous, three-dimensional internal flow. The calculation results display the variation characteristics of the internal flow field and the external performance. The results show that the predicted pump head drops with the increasing flow rate, which manifest that the pump model is of good operation stability at the whole range of working. At the design point, a strong and large vortex remain appears at the middle section of the double-channel impeller. The computational fluids dynamic technology is competent to assess the internal viscous flow inside a double-channel centrifugal pump.